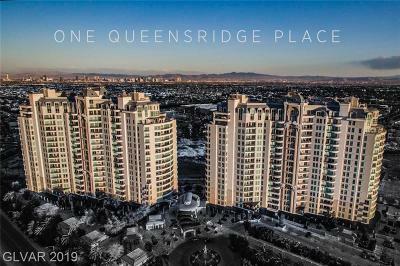 One Queensridge Place’s Or Queensridge Towers sits majestically on the west side of Las Vegas just outside of Summerlin. With 2 towers 16 stories tall, featuring an exclusive 219 Residences with spacious floor plans ranging from approximately 2100 to over 16,000 square feet, Queensridge Towers offer residents the finest in luxury condo living. Each residence has been finished with the finest stones, professional grade Viking appliances and offer open, spacious floor plans. The appointments and amenities are truly unparalleled in Las Vegas luxury high rise living, and I would venture to say, in any high rise living world wide. 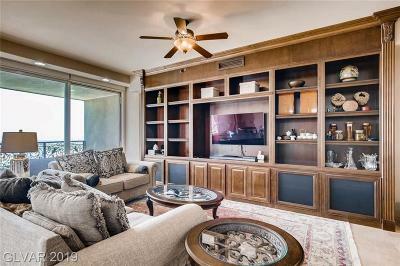 What makes this luxury high rise condo unique? These are custom homes in the sky. 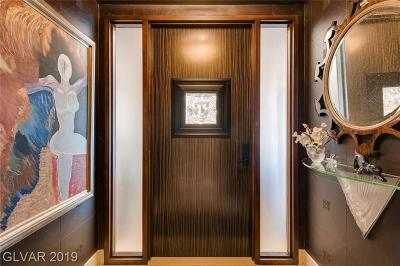 The elevators open directly into your private vestibule. (Smaller units share a vestibule with 1 neighbor, and there are maisonette & garden level units that are on common area floors). The covered parking garage features private 2-4 car garages within the cooled garage space. The detail and finish work from the beautiful lobby, to the elevators, to the corridors is truly a work of art. HOA dues are approximately $1900 per month. Owners enjoy guard gated living, valet, concierge, a residents lounge offering light fare, coffee, smoothies, etc from 7AM-2PM, and indoor pool, outdoor pool, roman spa, library, wine cellar, fitness cellar, theater room and so much more. The amenities here are unlike no other, and feel like you are in a 5 star resort. Views are tremendous because most units have bidirectional balconies offering city views as well as Red Rock Mountain and Golf Course Views. Buyers who connect with The Stark Team will obtain our expertise of the various units, views, and sales history needed to access the stats and facts necessary to make an intelligent purchase price point. Sellers of One Queensridge Place Condos will have the Stark Team's global Worldwide Web Exposure work to showcase their listings and attract a national or international buyer. 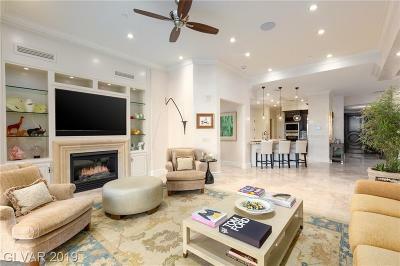 One Queensridge Place exemplifies the Art of Life in both physical structure and daily experience. The residential environment is noticeably distinctive and extraordinary. It offers discerning buyers a superior way of life conveniently located between the glorious glow of city lights of the Las Vegas Strip and the Red Rock Peaks of the Spring Mountains. Residential parking includes indoor private garages. 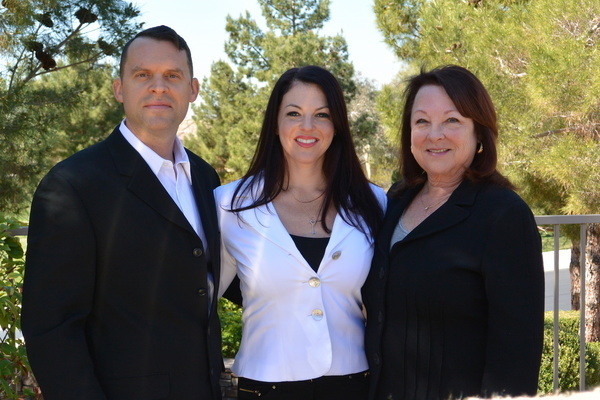 Contact The Stark Team For All Your Queensridge Towers Las Vegas Condo Needs.